Happy New Year! ITS is pleased to announce a new printing method called Mobility Print which is now available through our Papercut printing service. 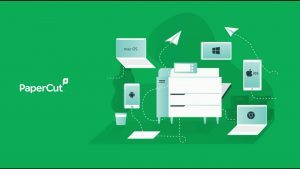 Mobility Print enables you to install print queues on your personally-owned computer through a one-time process, then print directly from your applications using File/Print thereafter. Unlike with Web Print, you’ll be able to print in a variety of ways — specific pages, single- or double-sided, color or black and white — all without the need to upload your files. Visit http://go/mobileprint/ for instructions on how to set up printers on macOS and Windows computers, then say “goodbye” to Web Print and its limitations. Mobility Print is intended for single user computers. On Windows computers, whoever added the printer will be charged, regardless of who is currently logged in. Mobility Print is not intended for use on college-owned computers as these can already connect easily to networked printers. Refer to http://go/print?win/ or http://go/print?mac/ for details. 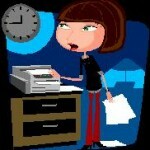 ITS does not currently support Mobility Print from iOS, Android, Chrome OS, or Linux. This entry was posted in LIS Staff Interest, Middlebury Community Interest, Post for MiddNotes, Post for MiddPoints and tagged papercut, printing on January 2, 2018 by Cynthia Slater. ITS staff installed the vendor’s patch to our WebPrint services this past weekend and print jobs have been processing smoothly since that time. We are optimistic that this resolved the earlier instability issues experienced by many. We thank everyone for their patience during the troubleshooting process and apologize for any inconvenience. As we move into the busiest phase of our language programs when the printing volume increases substantially, please note that opening and printing documents directly from labs, public computers, and faculty office spaces result in the fastest and most reliable printing (see option 1 at http://go.middlebury.edu/howtoprint). Documents in cloud storage can be easily opened and printed from any networked computer, as can documents sent to yourself via e-mail. This entry was posted in LIS Staff Interest, Middlebury Community Interest and tagged Helpdesk Alert, printing on July 31, 2017 by Cynthia Slater. Our WebPrint services should currently be viewed as an unstable resource as over the past few days the system has repeatedly stopped, requiring our attention. System staff are aware of the issue and are working with the vendor to resolve matters. Please note that printing directly from labs, public computers, and faculty office spaces result in the fastest and most reliable printing (see option 1 at http://go.middlebury.edu/howtoprint). 7/20/17 Update: The PaperCut fix is coming out in the next update. We are waiting for the developers to give us a time frame for when they expect it to be released. This entry was posted in LIS Staff Interest and tagged Helpdesk Alert, printing on July 12, 2017 by Cynthia Slater. Middlebury College is retiring the Bombay print server on August 3, 2015, as it is incompatible with our current 64-bit operating systems. Bombay has been replaced by a new print server named Walnut that has all of the same print queues on it. ITS has worked with the majority of people who were connecting to the old server but if you have been away from campus you may experience an interruption in printing services until you move from Bombay to Walnut printers. If needed, refer to the steps below to restore printing. If you have any questions or need further assistance, please contact the Helpdesk at 802.443.2200 or via email to helpdesk@middlebury.edu. This entry was posted in LIS Staff Interest, Middlebury Community Interest, Post for MiddPoints and tagged Helpdesk Alert, printers, printing on July 30, 2015 by Cynthia Slater. Do you print at the College libraries? At any of our public computing labs? If so, on your next visit, expect a streamlined list of printer choices offering expanded locations where you can go to release your print job(s). It’s easier and more flexible! Directing your print job to Library_Printers means you can head to any of six black and white printers in the Davis Family Library or in Armstrong Library at BiHall. Sending your print job to Non_Library_Printers lets you release from any of eight black and white printers around campus. Remember… For fastest results, print directly from a lab computer. 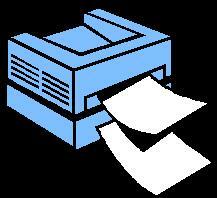 Visit go/howtoprint to view our updated instructions on how to print to a public printer. This entry was posted in LIS Staff Interest, lisblog, Post for MiddNotes and tagged Labs and Public Computing, print, print release, printers, printing on May 23, 2014 by Cynthia Slater. Fans of Foll ow-Me Printing will be happy to know we have changed the print queue name, making it easier to remember. When submitting your print job, look for FollowMeBW which has replaced Virtual BlackandWhite, effective 10/4/13. Students, if you haven’t yet tried “Follow-Me” you’re making your printing life more difficult than it needs to be. Visit go/followme to learn more or check out our earlier blog post. This time saver allows you to print to a single print queue, then go to any participating print release station to release your print job(s). Remember… for fastest results, use Follow-Me Printing on a lab computer. This entry was posted in LIS Staff Interest, Post for MiddNotes and tagged Follow-Me, print, print release, printers, printing on October 4, 2013 by Cynthia Slater. Every month I get a report about printing statistics from Papercut, the system we use to manage our printers. One of the things Papercut measures is how many pages did not get printed, and how much that reduced our carbon footprint. For January, nearly 10,000 jobs amounting to over 16,000 pages were not printed, saving 85.3 KG of carbon. This entry was posted in LIS Staff Interest and tagged printing on February 3, 2012 by Michael Roy.